Mix fairy lights, add a splash of blue glow sticks, some banging tunes, a bridge to nowhere, a bit of duck or grouse, mix for around 12 hours, pour in liberal amounts of dust and a supschon of water, oh and not forgetting the most vital ingredient: 500 lycra clad mountain bikers and you have the makings of more fun than you can shake a stick at – TORQ in Your Sleep was in town and the party atmosphere was bubbling over. Brought to you for the second year running by those lovely Gorrick folks, who know a thing or two about fun events, they spent months, mowing, tweaking, shoveling and planning a spiffing 8 mile course with the help of the Army Cycling Union, that took you ‘Nowhere’ and beyond in a cunning figure of 8 encountering along the way a few ‘Duck’ moments, whilst seemingly meeting yourself coming back type thing in the ‘Back to Front ‘ section, if you didn’t get lost in ‘The Maze’ that is! 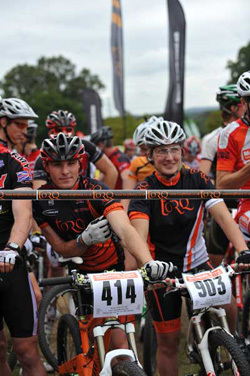 Just in case you were wondering the TORQ 12:12 is sponsored by TORQ. Anthony and Maxine lining up for the start. On the lead up to the much anticipated event it seemed that the trails would be a soggy muddy mess as the rain came down in bucket loads, but much to everyone’s surprise they were greeted not by heavy soul sapping mud, but soft loamy dust, that formed soft peaks on the corners grabbing unsuspecting wheels as they sped past. It was running fast, despite the apparent looseness and sub 40 min laps were soon the norm, as the fast boys got under way. 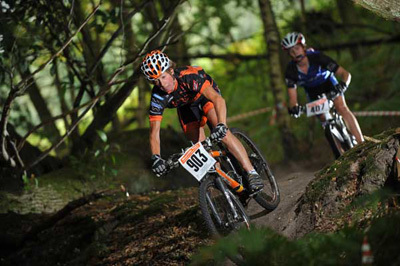 In defence of their title from the previous year were the Mountain Trax team; up against them were TORQ 1, consisting of brothers Anthony and Sion O’Boyle, Tim Dunford and Steve James, the Progression Fitness boys and not 1 but 5 Pedal On teams!! And they’re off. Heading out for 12 hours of enduro goodness. As the race got under way this was looking to be a battle royal and throughout the categories there was some close calls as margins were made and closed, lap in lap out. 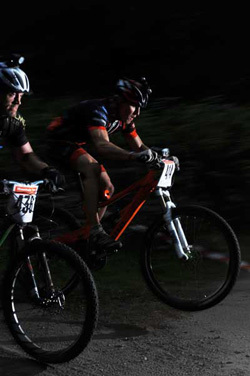 Starting at 12 midday means there is only roughly 4 hours to enjoy the dark fun that night riding brings, turning those once familiar trails into adrenalin filled chutes of mountain bike exhilaration. The more tired you get the more your mind plays tricks on you, the more adrenalin surges through your body and the more you think there are ‘things’ out there to catch you out. 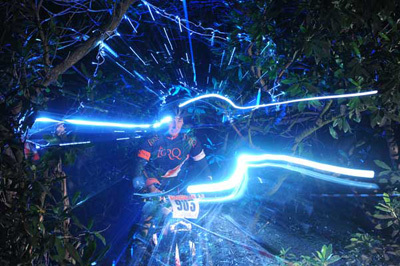 At TORQ 12:12 to add to this experience riders could hear a steady beat as they neared the ‘Bridge to Nowhere’ and when it exploded into view their senses were overloaded with bright lights and loud music. Soon after a much more soothing experience was to be had as riders entered the Blue grotto, a magical tunnel of singletrack dotted with blue glow sticks and a few twinkling fairy lights, enough to bring a cheery smile and take minds off a smattering of rain that kept threatening to increase, though thankfully never did! 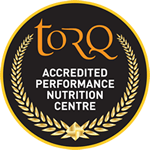 By this time Torq 1 had already stamped their authority on the men’s race taking firm control and picking up the win, leaving last year’s winners in 2nd spot, while Progression Fitness denied the Pedal On boys any access to the podium. However the ladies who took a commanding win in their race upheld Pedal On honour. With the women’s pairs being won in confidence by the TORQ girls Lydia Gould and Maxine Filby, all eyes were now on the TORQ mixed team of Matt Hart, Chris Lane, Dave Lawton & Fran Munday. Would they, could they complete the hat trick and make it 3 wins for the event sponsor? Unfortunately the Lufbra AllStars proved to be the stronger on the day, with TORQ 2 having to settle for 2nd. Maxine experiences the ‘TRON’ factor. Lydia super cool as per usual. 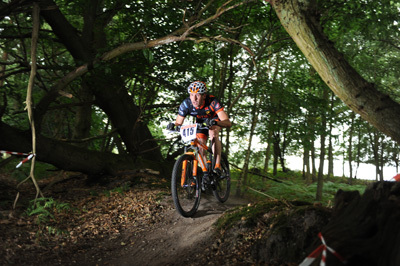 In the men’s pairs, Wiggle boys Matt Page and Lee Williams, seemed to be taking on the 4 men teams as the carved their way through the trails, very nearly matching the TORQ1 team on lap counts, but coming up just 1 lap short with 20 laps to take a comfortable win in their category. ’The Boss’ gets some racing miles in. 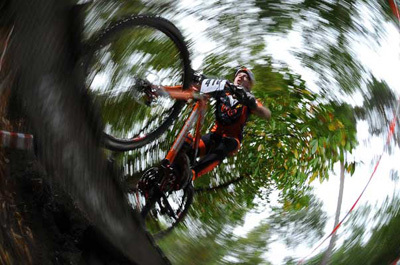 Dave Lawton goes into overdrive as he crosses the troll bridge. Chris looking smooth as he consistently banged out fast laps. As the witching hour inched ever closer there was a contrast as riders either belted hell for leather for the transition eager to get another lap under their belts or they huddled expectantly at the top of the hill, ready to stream down when the hooter sounded, more eager to get their hands on a steaming cuppa or something stronger! Hundreds packed into the marquee to cheer those that had earned the right to their moment of glory on the podium and pick up some healthy prizes to boot.  And thanks to the generosity of the many supporters spot prizes were awarded, with riders picking up unexpected holiday breaks thanks to Saddle Skedaddle through to an errant track pump or Dirt Worker! If you enjoyed that and want something more, but maybe a bit shorter then keep an eye out for some exciting news from the Gorrick over the coming months. Winter could be a whole lot of fun – especially for Brass Monkeys! 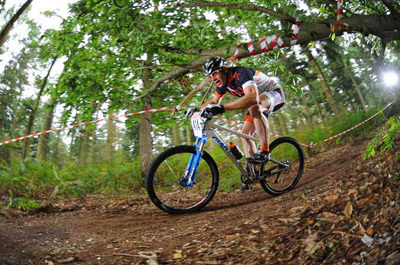 Ant squeezes every last bit out as he flies to transition. 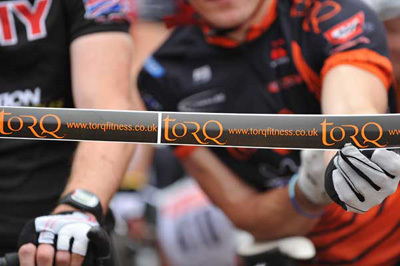 TORQ were on hand throughout the event and beyond with a copious amount of TORQ goodness on hand as well as tea…. August bank holiday weekend usually means guaranteed rain but being a glass half full kind of guy I decided to chance it and left the slicks on. As a big fan of the Gorrick races I was looking forward to some good singletrack and a quick practice lap revealed an excellent course in tip top condition. I did however manage to fall off in the first loose corner, not a good start but I was able to convince myself (pretty easily) that this was due to excessive tyre pressure rather than a lack of bike handling skills on my part! Tim opting for the ‘Duck’ option on his lap. Race time drew near and we decided Ant O’Boyle would start us off. Seeing the whole field strung out behind the quad bike with dust clouds bellowing was a great sight and I couldn’t wait for my turn. 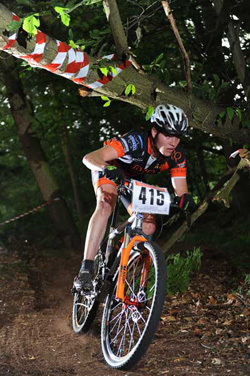 I didn’t have to wait long, Ant hammered round the first lap and came in just behind a flying Ade Lansley of Pedal-On. 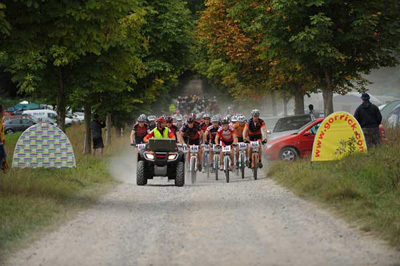 I set off in hot pursuit of the Pedal-On rider and Lee Williams of Wiggle. I managed to give the Pedal-On rider the slip but didn’t fancy my chances against Lee – despite the fact he was doing pairs! After a few laps we’d built up a healthy lead and the course was great fun, if anything it was riding even better as lines developed in the ever deepening dust. Yes, you read that right DUST! I particularly enjoyed Minley maze and Back to Front, they were great fun and nicely broken up with some double track to get your breath back. As dusk approached we were issued with our Exposure lights, with these babies on it was almost daylight! Despite knowing the course pretty well by this point it seemed totally different in the dark- there certainly seemed to be more trees! 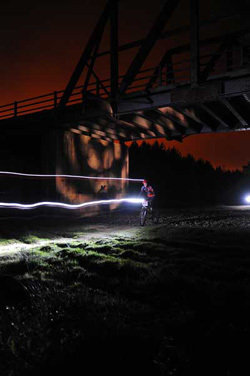 Racing the singletrack in the dark was awesome and the DJ by the Bridge to Nowhere was great, I was tempted to hop off and throw a few shapes, but such is the competition between team mates I didn’t want to slow down! Fortunately the rain didn’t amount to much, just as well as the deep dust may not have been quite so much fun after a downpour. Tackling the ‘Bridge to Nowhere’, that eventually led to somewhere. As the race drew to a close we nearly had a lap on second place, but we all know how quickly a mechanical in the middle of the night can change things so we didn’t let up. At the end of the day it was a great performance from the team. 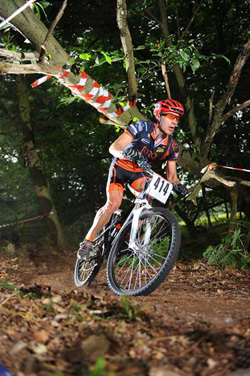 A big thanks to Rob for ensuring everything ran as clockwork and to Matt for the constant supply of Torq goodies. 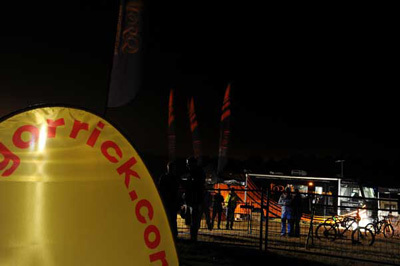 And finally a very big thanks to the Gorrick team for putting on yet another fantastic event. See you all at Cheddar!